This cake is perfect for the 80's baby celebrating their birthday. The perfect way to reach that milestone is with a cake that reminds you of your youth. Generation X will love this cake. This cake is perfect for the 80's baby celebrating their birthday. 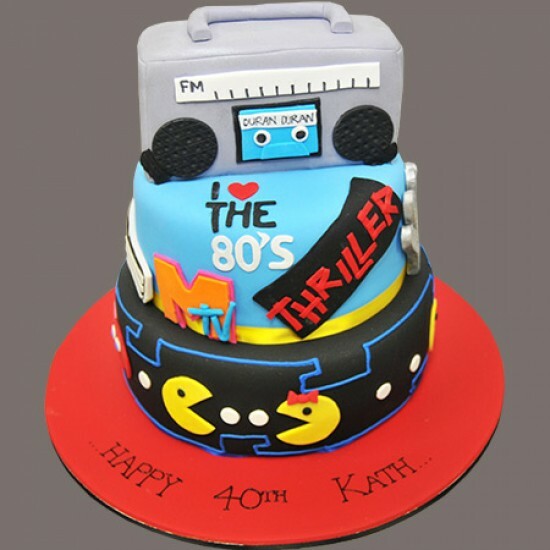 The perfect way to reach that milestone is with a cake that reminds you of your youth, with Pacman, MTV & Thriller all referenced, Generation X will love this cake.